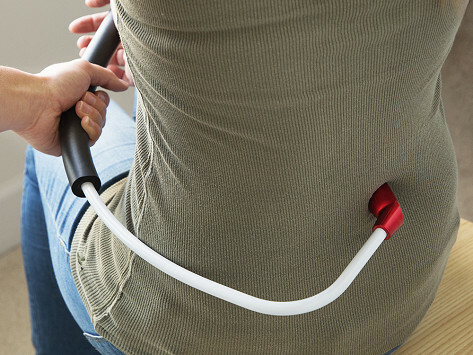 This ergonomic self back massager helps you reach knots and tension spots—all by yourself. It mimics shiatsu massage, a technique where therapists use thumbs and knuckles. The thumb-shaped end creates deep, precise pressure to release knots and kinks. Use it over the shoulder for your neck and upper back, and around your torso to reach your lower back. How to use: Securely hold the foam handle with two hands, one above the other. Then hook the Nodger over your back with the red nodule on the area where the knot is. Relax your shoulders and push the nodger away from you to apply targeted pressure into the knot, allowing the pressure to continue for one deep breath in and out. This is the most awesome gadget! 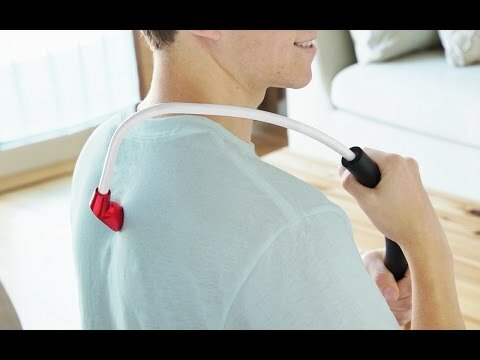 It targets those knots in my back and in seconds the pain is gone! It has always been a very pleasant experience!! Lots of things create back pain—desk chairs, exercise, sofa beds, you name it. Whatever the cause, now you’re your own massage therapist.